Paul Hindemith (November 16, 1895 – December 28, 1963) was an outstanding twentieth-century German composer, as well as a violist, teacher, theorist, and conductor. Hindemith helped to create a new conception of tonality with the 12-tone scale while retaining the traditional anchor of a tonic or foundational tone. His works and teachings in the United States made him very popular, especially in the 1940s when he used consonance and dissonance to set apart the melodic and harmonic lines of a composition for emphasis and expression. Born in Hanau, Germany, Hindemith was taught the violin as a child. He entered the Hochsche Konservatorium in Frankfurt am Main where he studied conducting, composition, and violin under Arnold Mendelssohn and Bernhard Sekles, supporting himself by playing in dance bands and musical-comedy groups. He led the Frankfurt Opera orchestra from 1915 to 1923 and played in the Rebner string quartet in 1921 in which he played second violin, and later the viola. In 1929 he founded the Amar Quartet, playing the viola, and toured Europe extensively. In 1922, some of his pieces were heard at the International Society for Contemporary Music festival in Salzburg, which first brought him to the attention of an international audience. The following year, he began to work as an organizer of the Donaueschingen Festival, where his programs featured works by several avant garde composers including Anton Webern and Arnold Schoenberg. Starting in 1927 he taught composition at the Berliner Hochschule für Musik in Berlin, and in the 1930s he made several visits to Ankara where (at the invitation of Atatürk) he led the task of reorganizing Turkish music education. Towards the end of the 1930s, he made several tours of America as a viola and viola d'amore soloist. In the 1920s, as he was establishing his reputation as one of Germany’s emerging musical talents, he was considered an uncompromising iconoclast, an enfant terrible, due to the dissonant nature of his scores. Today much of his music sounds relatively tame in comparison to the post-World War II purveyors of serialism; however, at a time when the echoes of Romanticism were still in the ears (and hearts) of the general public, his early music often came across as being acerbic and uningratiating. As he matured he modified his compositional style and as a result many of his important scores remain in the active repertory of soloists and ensembles due to their melodic expressiveness, harmonic integrity, and structural logic. Though not everyone finds his music agreeable, few argue that it is the product of a highly intelligent and gifted composer. As his reputation grew in the 1930s, the Nazis condemned his music as "degenerate," despite protests from the conductor Wilhelm Furtwängler, and in 1940 Hindemith emigrated to the USA. (He was not himself Jewish, but his wife was.) At the same time that he was codifying his musical language, his teaching began to be affected by his theories. Once in the States he taught primarily at Yale University where he had such notable pupils as Lukas Foss, Norman Dello Joio, Harold Shapero, Ruth Schonthal, and Oscar-winning film director George Roy Hill. During this time he also held the Charles Eliot Norton Chair at Harvard, from which his book A Composer's World was extracted. He became an American citizen in 1946, but returned to Europe in 1953, living in Zürich and teaching at the university there. Towards the end of his life he began to conduct more, and made numerous recordings, mostly of his own music. He was awarded the Balzan Prize in 1962. Hindemith died in Frankfurt am Main on December 28, 1963 from acute pancreatitis. By the 1930s Hindemith had become the most prominent German composer since Richard Strauss. His early works are in a late romantic idiom, and he later produced expressionist works, rather in the style of early Arnold Schoenberg, before developing a leaner, contrapuntally complex style in the 1920s, which some people found (and still find) difficult to understand. It has been described as neoclassical, but is different from the neo-classic works of Igor Stravinsky owing to the contrapuntal style of Johann Sebastian Bach rather than the classical clarity of Wolfgang Amadeus Mozart. In fact, Hindemith's music represented the Neo-Baroque. This new style can be heard in the series of works he wrote called Kammermusik (Chamber Music) from 1922 to 1927. Each of these pieces is written for a different small instrumental ensemble, many of them very unusual. Kammermusik No. 6, for example, is a concerto for the viola d'amore, an instrument that had not been in wide use since the baroque period, but which Hindemith himself played. He continued to write for unusual groups throughout his life, producing a sonata for double bass in 1949, for example. Around the 1930s, Hindemith began to write less for chamber ensembles, and more for larger orchestral groups. During the years 1933–35, Hindemith composed his opera Mathis der Maler based on the life of the painter Matthias Grünewald. It is respected in musical circles, but like most twentieth-century operas it is rarely staged, though a well-known production by the New York City Opera in 1995 was an exception. It combines the neo-classicism of earlier works with folk song. Hindemith turned some of the music from this opera into a purely instrumental symphony (also called Mathis der Maler), which is one of his most frequently performed works. 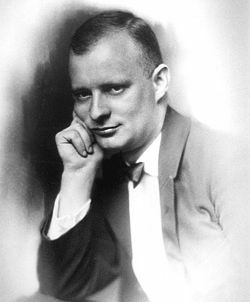 Hindemith, like Kurt Weill and Ernst Krenek, wrote Gebrauchsmusik (Utility Music), music intended to have a social or political purpose and often intended to be played by amateurs. The concept was inspired by Bertolt Brecht. An example of this is his Trauermusik (Funeral Music), written in 1936. Hindemith was preparing a concert for the BBC when he heard news of the death of George V. He quickly wrote this piece for solo viola and string orchestra to mark the event, and the premiere was given on the same day. Hindemith later disowned the term Gebrauchsmusik, saying it was misleading. In the late 1930s, Hindemith wrote a theoretical book, The Craft of Musical Composition, in which he ranks all musical intervals from the most consonant to the most dissonant. It laid out the compositional technique he had been using throughout the 1930s and would continue to use for the rest of his life, and added to his reputation as a composer theoretically interesting, but lacking in emotional interest. His piano work of the early 1940s, Ludus Tonalis, is seen by many as a further example of this. It contains twelve fugues, in the manner of Johann Sebastian Bach, each connected by an interlude during which the music moves from the key of the last fugue to the key of the next one. Much of Hindemith's music begins in consonant territory, moves into dissonance, and returns at the end to full, consonant chords. This is especially apparent in his "Concert Music for Strings and Brass" which was commissioned by the Boston Symphony Orchestra to commemorate its 50th anniversary. Hindemith's most popular work, both on record and in the concert hall, is probably the Symphonic Metamorphoses of Themes by Carl Maria von Weber, written in 1943. It takes melodies from various works by von Weber, mainly piano duets, but also one from the overture to his incidental music for Turandot (Op. 37/J. 75), and transforms and adapts them so that each movement of the piece is based on one theme. In 1951, Hindemith completed his Symphony in B-flat. Scored for concert band, it was written for an occasion when he guest conducted the U.S. Army Band "Pershing's Own." The piece is representative of his late works, exhibiting strong contrapuntal lines throughout, and is a cornerstone of the band repertoire. In many respects there was an egalitarian aspect to Hindemith’s character in that he felt a responsibility to compose music that could reach a greater number of people, amateurs as well as professionals. Gebrauchmusik (functional music) and Hausmusik (music to be played in the home) were terms attributed to much of the music that he composed for these purposes. He wrote a great deal of music that can be categorized as Gebrauchmusik, but whether he was writing for the popular theater, brass bands, children, or more serious occasions, his craftsmanship invariably reflects the work of a consummate professional. The events that shaped Germany’s political and cultural destiny in the decade of the 1930s had grave and far-reaching impacts upon German artists of every discipline, and like his contemporaries, Hindemith’s life and work were being profoundly affected by the political ascent of the Third Reich. By 1934 Adolf Hitler and the Nazi party had attained the kind of political power few would have imagined only a decade earlier. It was under these conditions that Hindemith produced his most significant work, his fourth opera, Mathis der Maler (Mathis the Painter). The libretto, Hindemith’s own, uses the Peasant’s War of 1524 as its historical backdrop with its central character, Renaissance painter Matthais Grunewald (c.1475–1528), ensnared in a conflict between the peasants and the church. The primary theme of the opera deals with the moral and ethical responsibility of the artist at a time of social upheaval. The Nazis viewed Mathis as a deliberate attempt by Hindemith to fan the flames of dissent and many believed that the composer was depicting himself as the protagonist in the opera. The Nazis were further aggravated when Wilhelm Furtwangler, then the director of the Berlin State Opera and Germany's most distinguished conductor, agreed to stage the work causing an uproar that subsequently made Hindemith’s relationship with the authorities even more precarious. Though Furtwangler attempted to defend the composer, he was nonetheless pressured by the Nazi officialdom to abort the project. Hindemith remained undaunted and proceeded to compose a symphony based on the score of the opera. Using the 11-panel Altarpiece that Grunewald had painted in the Church of Saint Anthony at Isenheim between 1512 and 1515 as a source of inspiration, Hindemith’s three-movement Symphonie – Mathis der Maler stands as a testament to his indomitable will and creative spirit. The premiere of the symphony was conducted by Furtwangler at a Berlin Philharmonic concert on March 12, 1934 and was an unequivocal success. Furtwangler’s efforts to ameliorate the situation only exacerbated the vexatious relationship between Hindemith and the Nazis and Hitler personally issued an order to desist any and all attempts to produce the opera. Furtwangler incurred the wrath of the party as well and was discharged from his positions with both the Berlin Philharmonic and the State Opera and remained a musical exile for a year. The opera Mathis der Maler eventually received its premier in Zurich in 1938 and was first staged in the United States in Boston in 1956. The first German production of Mathis took place after World War II in 1946. Vilified by “Die Furher,” his music banned, and relieved of all his duties at the Berlin Academy of Music, Hindemith was now confronted with the dilemma facing all artists living in Germany during Hitler’s nefarious reign: Either join the Nazi party in order to further one's artistic ambitions, or suffer the consequences of incarceration, exile, or possibly worse. As an individual of staunch moral convictions, Hindemith would not acquiesce to a political philosophy that he considered morally repugnant; thus he chose to leave his native Germany and pursue his creative endeavors elsewhere. After a brief time in Switzerland, Hindemith made his first visit to the United States in the spring of 1937 where he made his American debut at the Coolidge Festival in Washington, D.C. performing his Sonata for Unaccompanied Viola. In the following years he returned to teach composition at the Boston Symphony’s Berkshire Music Center in Tanglewood and in 1940, with war now imminent in Europe, he moved to the United States where he promptly received an appointment to join the music faculty at Yale University. Das Marienleben Songcycle for soprano and piano, based on poems by Rainer Maria Rilke, which exists in two versions. There is also an orchestration by the composer of six of the songs from the cycle, for soprano and orchestra. A melody that appears to be a variation of a quote from the opening section of Paul Hindemith's Sonata for Flute and Piano (Heiter Bewegt) appears in Kraftwerk's 1983 song "Tour de France." Hindemith was an enthusiastic collector of model trains. ↑ Review of Mathis der Maler in the New York Times. Retrieved January 10, 2008. ↑ See this web page for a complete list. Retrieved January 10, 2008. This page was last modified on 30 January 2019, at 17:15.